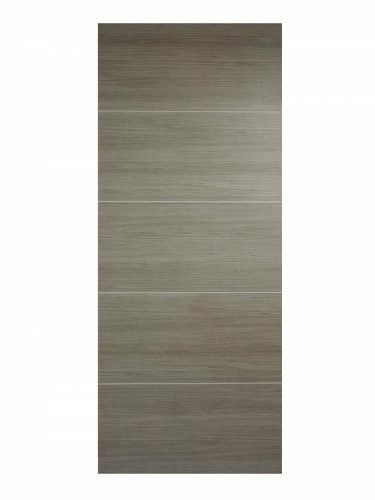 Fire Door FD30 pale Grey colourway. Particularly suited for High Traffic Commercial applications. Light Grey Laminated Santandor FD30 Fire Door. The modern Santandor design with five panels. A light grey, laminated easy clean finish. Sophisticated, contemporary sleek look.